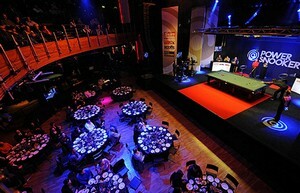 The elite top 16 players will play for the two-day Power Snooker Masters Trophy 2011 in Trafford Centre, Manchester starts from today. Results and live streaming links for Power Snooker are located below. 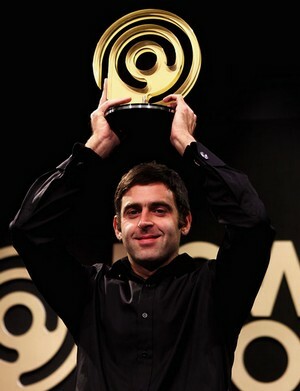 The defending champion 'The Rocket' Ronnie O'Sullivan will no doubt be picked as one of the players to win the championship this year. However with the more fierce competition which the number of players is doubled from 8 to 16 this year. Players in attacking style such as Judd Trump and Mark Allen are also seen as the hot picks. 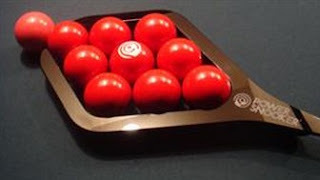 The rules of Power Snooker is still the same: 30-minutes match with 20s shot-clock which scores is counted instead of frames, nine reds only in diamond shape with a Power Ball in the middle. Potting the Power Ball scores two points and triggers a two-minute Power Play, during which every ball potted counts double. The area behind the baulk line is the Power Zone – if the cue ball is struck from within the Power Zone, any ball potted counts for double and during a Power Play, quadruple. Player will be awarded ball in hand if his opponent play a foul shot. The first event last year was very entertaining and successful commercially. Some fans found it enjoyable but some were not happy about the noisy crowd and the format of the game itself. Will the event better with more players participate in?